So it’s not surprising to see a few enterprising individuals starting a motorcycle version called WeBuyAnyBike but the Car and Motorcycle versions aren’t the same company. In fact there are two WeBuyAnyBike websites, one at WeBuyAnyBike.co.uk and one at WeBuyAnyBike.com and they’re not connected either. Confused? Well, if you were, hopefully you aren’t now. As the car advert suggests, these valuation services don’t offer you the ‘best’ price for your motorcycle or scooter but they are quick and many find them convenient. Assuming you have a standard production motorcycle, with low mileage, you’ll get a reasonable valuation from these services. If your bike is highly modified, the valuation won’t factor in the money you’ve spent on these modifications, in fact they may lower their offer, even if your bike is mint. 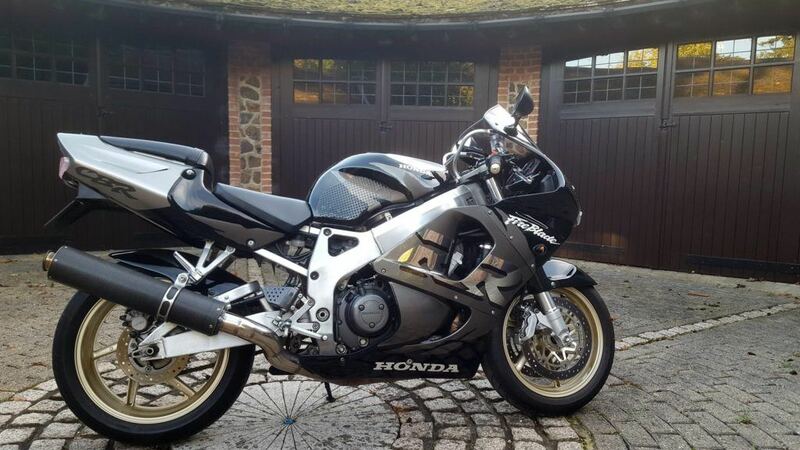 High mileage or damaged motorcycles will get low-ball offers too. If you read the reviews, you’ll see people commenting that they undervalue your bike and while this might be factually accurate, as with any sale, be it a private sale, through a dealer or using one of these instant valuation services – you don’t have to take their first offer. These services will take your bike and quickly turn it around to make a profit. So the more standard your motorcycle or scooter, the easier it will be for them to turn around and therefor the better offer they’ll make. This only valuation service can dig out your motorbike’s details if you enter the registration but you won’t get an instant valuation. Once you fill in the details: condition, mileage and your post code, you submit the form and the SellBike team will get in touch with you. There’s nothing smart about this website – you have to manually enter in all the details of your bike, including its registration, make and model, year, mileage and condition. A very low tech offering. Based in Northants, this company say they have been in business for 26 years. Judging by the website, they look to buy from the surrounding counties, rather than nationwide. The website doesn’t appear to offer an instant valuation and it won’t recognise your bike if you enter in the number plate – rather you have to fill out a long form. This website is owned by CarBay Ltd, they’re based in Manchester and claim to have been in business over 25 years. They have mixed reviews on Trustpilot which are worth reading. The online form recognises your bike’s details but won’t provide an instant quote. This website is operated by motorcycle dealer Superbike Factory, based in Macclesfield, Cheshire. Superbike Factory have a rating of 3.9 out of 5 from 229 Google Reviews. The valuation form recognises your motorcycle’s make, model, colour and age when you enter in your registration number – then you have to add mileage, condition, service history and list whether the bike is a write-off and has an MOT. There is no instant online quote. Billing themselves as the UK’s largest motorbike buyer sounds promising. The valuation form won’t recognise your bike from its registration and you have to fill out a fairly long form. However, this was the only service we found that offered an instant valuation. Whether or not they stick to their guns or look to pay you less – we can’t say. The TrustPilot ratings look very good but almost all of the reviews are left by users who have only ever left one review. There’s no doubt you can sell your motorcycle or scooter quickly using these services. They probably won’t offer you more money than you’d get selling your bike privately but they should help you release the cash from your bike.